I bought an Energizer Energi To Go charger to charge up my Palm TX in the field while geocaching. It came with the adapter to charge a Palm as well as one to charge some random cell phone I don't own. It would seem if I wanted to charge my Motorola phone as well I would have to buy another whole Energi To Go unit (or a replacement adapter, see disclaimer below). Not so! Anyone with a bit of soldering ability can mod the extra adapter to accommodate a mini USB plug that will charge a Motorola phone (or virtually anything that can charge from a 5v USB plug). A special circuit or software is required to force a Motorola phone into charge mode (at least for the model I own). I decided to use the cord from a Motorola charger I got at Goodwill to easily solve that problem. I already had a spare charger that I use in a different part of the house, but the one at Goodwill was only 99 cents, so I picked it up anyway to hack up for this project. If you don't already have one or can't find one at a thrift store, the link here has them for 79 cents (+ a few bucks shipping). These things are everywhere, though. You should be able to get your hands on one if you don't already have an extra one lying around in your closet. But I digress. . . Anyway, the proprietary 'Moto' wall charger has the circuit built into the mini USB plug and therefore solves the problem of getting your phone to actually charge. Here and here are pages including more info about USB pinouts for motorola chargers if you want to make your own. Okay, I'm done disclaiming. No need for that "don't try this at home" crap. Cut the wall wart off the Motorola charger. Cut the cell phone plug off the Energi To Go adapter leaving as much wire intact as possible. Strip about 1/4" of insulation off each wire of the Motorola charger. Next strip off an inch or so of the outer insulation of the adapter and 1/4" off the interior wires. Then make sure your heat shrink tubing is handy. I used two different sizes of tubing. The smaller size to separate the wires inside and the larger to go over the whole shebang. Cut a length of the larger heat shrink tubing that will cover the entire splice and slide it over the USB cord. Cut a smaller piece of thinner tubing and slide it over one of the wires to splice. Solder the first wire and shrink the tubing over it, then solder the second wire and shrink the remaining tubing over the whole thing. Check out the pics below. It's pretty simple stuff. We are done and all is well. The cord looks good and the phone is charging. After scoring a Motorola wall charger at a Goodwill store and already having everything else, this project cost me about 99 cents + tax. All in all, not a bad deal. the tip at the bottom of img 1 is for newer nokias! do you know if there is an energizer thing to go with moto droid? and if it would be possible to replace batteries in this thing with a solar panel????? Little unknown secret about where to find free phone chargers for your projects: Every hotel on the planet has a bin of forgotten chargers. If you have a friend that works at one ask them if you can go through it. Even if you don't have a friend, stop in to any hotel and ask. They would be happy to down size on the bin of cords. That is fantastic! Excellent tip, dag. If you don't want to waste your original Motorola charger, you can use a standard mini-b usb cable and a single resistor. I'm currently using a small USB-A (female) to Mini-B (Male) adapter with the resistor stuffed inside with a generic Car --> Usb adapter and it works great. Yeah, I posted some links to pinouts in the Instructable in case people wanted to go that route. For me, my way was equally cheap. Different strokes, eh? Thanks so much for the kind words. Hey, The charger works with 5V, and that thingy is powered by 2AA outputting 3V Does that use something like the mintyboost? Yes. 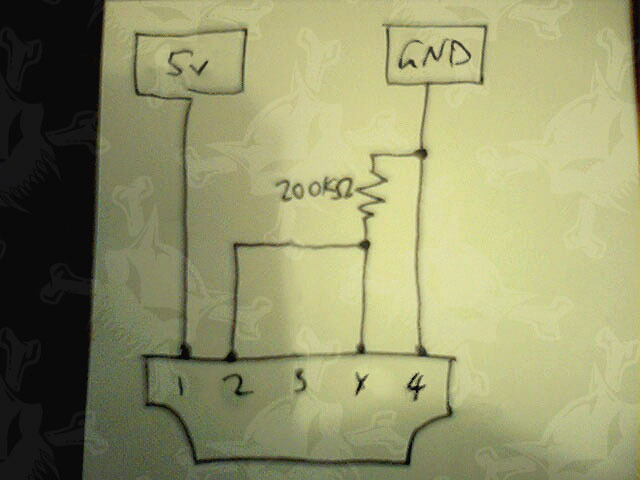 There is a circuit inside that steps up the voltage just like the Minty Boost does. I talk about the Minty Boost in the second disclaimer. How did you tell the difference between the - and the + cable? Motorola makes it easy by marking one of the wires with dashes (see pic). After cutting the charger cord, plug the wall wart side in, use a multimeter to find the polarity and take note. ah yes the marking...means positive. I didn't notice that, did you include that in the instructable? The dashed wire is negative on mine. Good idea to go ahead and check it with a multimeter before plugging in anything you don't want to destroy. This goes for pretty much any electronics project. And no, I didn't include that. I'm not up on the statistics. ReCreate says: Negative? Thats unusual... Do remember current travels from Negative To Positive. What? No. AC means "alternating current." Therefore the current goes back and forth and polarity is pretty meaningless. For DC, "direct current," the current only flows in one direction and J_Mi is correct. Despite what Benjamen Franklin named it, the current flows from negative to positive and not the other way around. The way we refer to it as positive and negative has simply stuck in the vernacular.